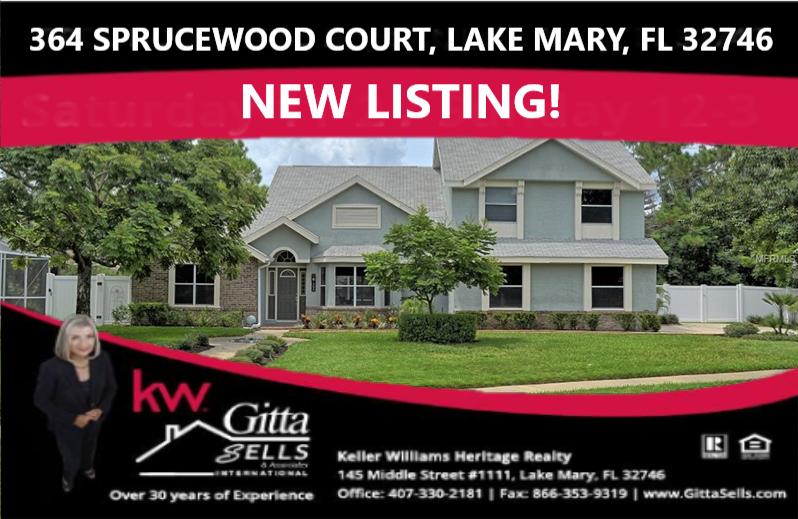 364 Sprucewood Court is located in luxurious and highly desirable Lake Mary Florida! Lake Mary is a city that truly has it all. If you’re looking for a city that has the convenience of fine dining, upscale shopping, recreational facilities, and a top-notch school district, look no further! 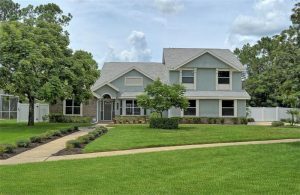 This beautiful, one of kind home is located in the community of Lake Mary Woods, known for its cozy wooded area setting, and larger lots. Lake Mary Woods is a well-established community with affordable homes that represent a variety of architectural styles. Lake Mary, located in the Seminole County School District is recognized as one of the top school districts in the nation. Seminole County is an A-rated school district, and have exceeded SAT state and national averages for 39 consecutive years! This particular home is located in the Seminole County school zone of Lake Mary Elementary, Greenwood Lakes Middle, and Lake Mary High. Lake Mary, known as “City of Lakes” has much to offer its residents. Frank Evans Museum of History calls Lake Mary home and is great for learning about Lake Mary’s history as well as the history of surrounding areas. The numerous parks and recreational facilities throughout Lake Mary are perfect for the outdoor enthusiast. Trailhead Park permits rollerblading, bike riding and is also the trailhead for the beautiful Rinehart Trail. There is a state-of-the-art Tennis Center, complete with membership opportunities and a pro shop; as well a Basketball Court Facility conveniently located in Lake Mary. Upscale retail shopping is available at nearby Altamonte Mall, located in Altamonte Springs Florida. Popular stores include Abercrombie & Fitch, Coach, Pandora Jewelry, Banana Republic, and New York and Company just to name a few. Popular fine dining opportunities include The Melting Pot, which features American Cuisine. For a taste of Italy, residents enjoy Enzo’s on the Lake. Fishbones is a popular seafood restaurant in Lake Mary. Economically Lake Mary is strong and is situated in Florida’s High-Tech Corridor. Many businesses have corporate offices located in Lake Mary including Verizon, AT&T, Cingular Wireless, Charisma Media, and many more. There are plenty of opportunities for your business ventures. Lake Mary provides easy access to I-4 and is located just 20 miles north of Orlando’s global and national attractions such as Disney World, Sea World, and The Kennedy Space Center! See for yourself why the “City of Lakes” is perfect for you and your family! 4-bedroom, 3-bath, almost 3,000 square foot home with a private pool in the close-knit community of Lake Mary Woods in luxurious Lake Mary, Florida. Seminole County Schools are top-ranked. Lake Mary is in Florida's high-tech corridor and close to Orlando's national attractions. See why Lake Mary FL Real Estate is highly sought after. Let Gitta Sells and Associates help you find your dream home today!